Ireland and England Tour June 20th - July 3rd! Hello everybody, The Dust Busters are on the road again, this time in Ireland and England. Here’s the dates! Come say hi if you’re in the area! 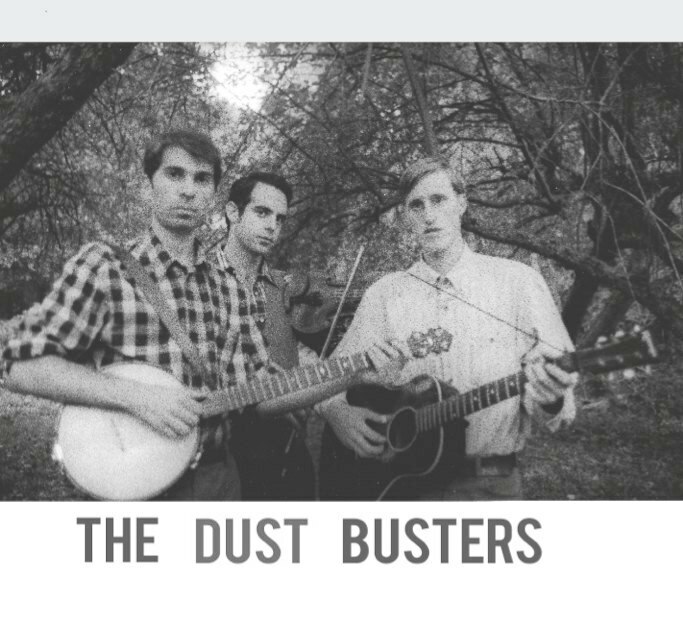 The Dust Busters to Appear at The Brooklyn Folk Festival! The Dust Busters will be making their 3rd appearance at The Brooklyn Folk Festival on Saturday June 11th and 9:45pm. Its gonna be great! Friday, June 10th- Sunday, June 12th, 2011 at the Jalopy Theater and Brooklyn Waterfront Artists Coalition- Brooklyn, New York. 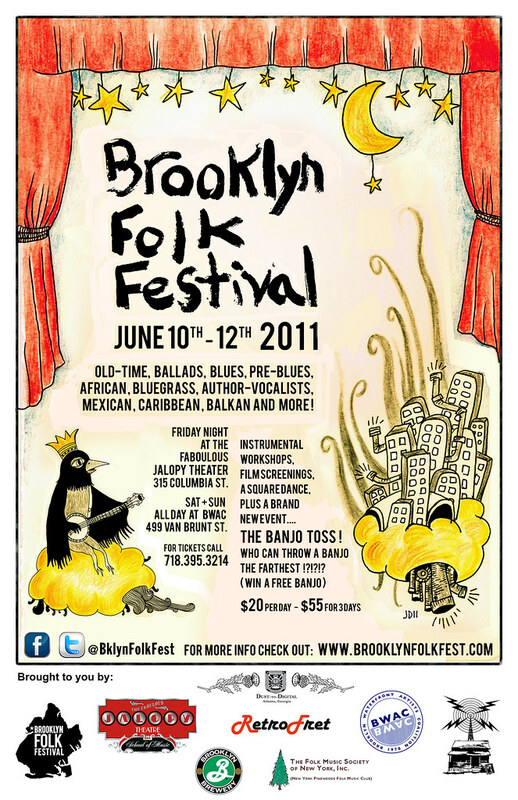 Down Home Radio host Eli Smith is proud to announce the 3rd annual Brooklyn Folk Festival, to be held at the Jalopy Theater and Brooklyn Waterfront Artists Coalition in Brooklyn, NY – Friday, June 10th- Sunday, June 12th, 2011. The festival will feature the best young talent from Brooklyn’s exploding folk music scene as well as luminaries from the generation that made the 1960’s New York City folk music revival. The music featured will include traditional styles such as old-time string band music, blues, jug band music, traditional music of Mexico, the Balkans and West Africa, North Indian classical music, local songwriters and more! There will be concerts throughout the day as well as workshops on various musical styles, film screenings and a Sunday afternoon square dance! This year will also inaugurate the Brooklyn Folk Festival “Banjo Toss.” The person who throws a banjo the farthest will win a free banjo! The festival will feature luminaries such as Grammy Award winner Peter Stampfel of the Holy Modal Rounders and Pat Conte of the Canebrake Rattlers and Secret Museum of Mankind, two of the main creators of the 1960’s folk music scene in Greenwhich Village, but will also feature young Brooklyn based talents such as acclaimed blues musician Blind Boy Paxton, ballad singer Elizabeth Butters, old time string band The Dust Busters, Country singer Alex Battles, songster Feral Foster, and many more. Radio Jarocho, a Mexican folk music collective will perform a variety of styles of music and dance from across Mexico. Clifton Hicks of Boone, North Carolina will be making a second appearance at the festival following his debut last year, playing his style of traditional banjo music of the Southern Appalachian mountains. The Brooklyn Folk Festival seeks to exhibit the cultural contributions from a diversity of Brooklyn communities, and in particular seeks to highlight the young talent emerging from those communities. Come down to The Brooklyn Folk Festival in Redhook Brooklyn over the weekend Friday, June 10th- Sunday, June 12th to hear Brooklyn’s best traditional Folk musicians and song writers. You will hear banjos, fiddles, mandolins, guitars, people blowing on jugs and harmonicas, a world champion whistler as well as great original songs. If you want to learn how to play, come down to the afternoon instrumental workshops. The festival costs $20 per day or $55 for 3 days, including the afternoon workshops and film screenings! The Brooklyn Folk Festival is co-sponsored by Down Home Radio @ www.DownHomeRadioShow.com & The Jalopy Theater.